Feed your furry friend an unforgettable fish delight he won’t soon forget! The Canine Chef, Kirby the Dorkie, is back with an ingenious jerky treat. 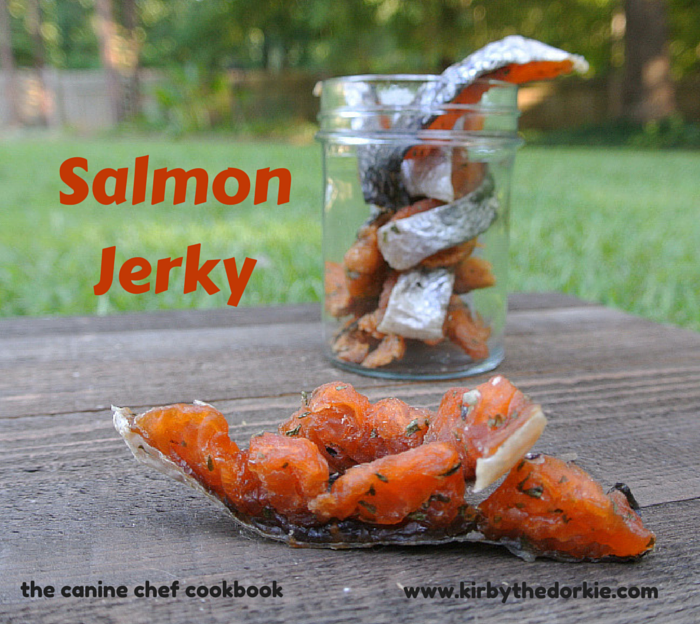 Provide a wholesome treat for any dog that loves fish with this simple salmon jerky recipe. A safe and tasty chew for your dog. 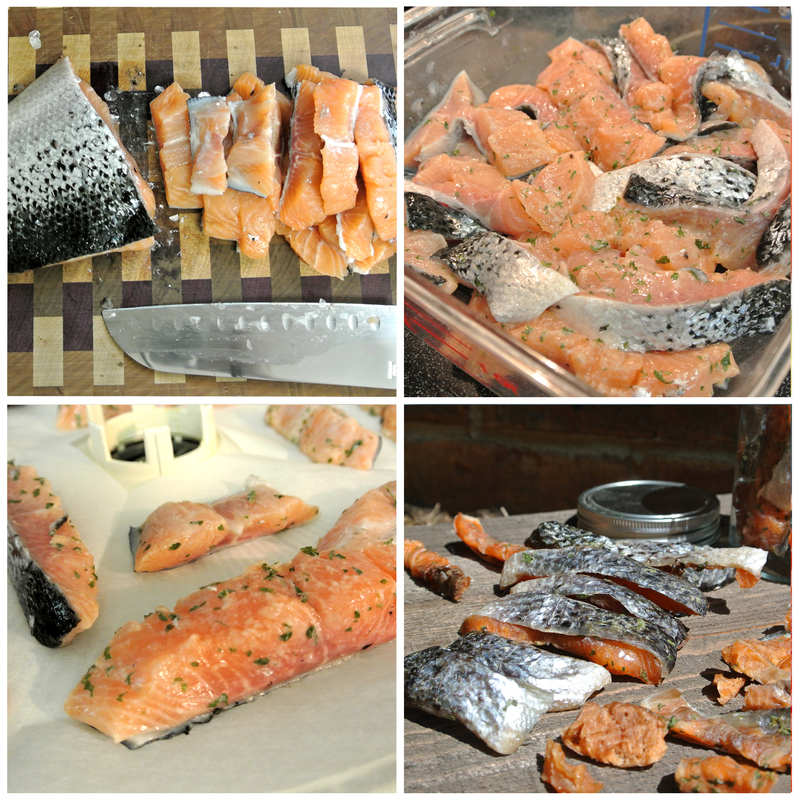 Slice the salmon as thin or as chunky as you prefer with the skin side down. It’s easiest to do this while frozen. The thicker it is the longer it will take to dehydrate. Place fish in a container with lid. Finely chop the parsley and mix with the lemon juice and sea salt. Pour over the fish. Using your hands, make sure the fish is completely covered with the marinade. Place in the refrigerator for at least thirty minutes but preferably overnight. Place the fish on parchment lined dehydrator trays and dehydrate for 4 to 10 hours depending on how thick the strips are. They are done when they feel dry and snap apart. These need to be wrapped in paper towels and stored in an airtight container for up to a week. Don't keep them in the refrigerator as that will cause moisture and mold. They can be frozen for up to 3 months.